Jeanie Deans, a dairymaid, decides she must walk to London to gain an audience with the Queen. Her sister is to be executed for infanticide and, while refusing to lie to help her case, Jeanie is desperate for a reprieve. Set in the 1730s in a Scotland uneasily united with England, "The Heart of Mid-Lothian" dramatizes different kinds of justice - that meted out by the Edinburgh mob in the lynching of Captain Porteous, and that encountered by a terrified young girl suspected of killing her baby. 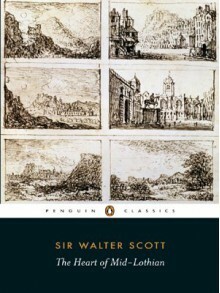 Based on an anonymous letter Scot received in 1817, this is the seventh and finest of Scott's Waverley' novels. It was an international bestseller and inspired succeeding novelists from Balzac to George Eliot. Most likely Scott's best work.